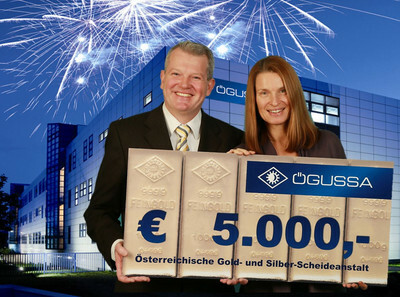 5.000 € have been given to Sterntalerhof, i.e. a children’s hospice that has been maintained in the Burgenland province since 1999 and is financed only by donations. Volunteers take care of families with chronically, critically or mortally ill children that find peace, build strength and win confidence in the natural and loving atmosphere of a small farmhouse. 5.000 € have been given to "A spark of Warmth", a big charitable campaign by Caritas and Austrials biggest newspaper "Krone". Heating bills of especially needy families are picked up in order that in Austria nowadays nobody has to freeze who got in need through no fault of his own. 2.000 € were brought up by our workers' council traditional fundraising campain. The money went to DEBRA Austria, a sick persons organisation for "Butterfly Children", i.e. people that suffer from - and have to live with - a skin disease called "Epidermolysis bullosa". € 1.000 were donated to the aid fund "Social Liesing" of the 23rd district of Vienna. € 2.000 have been used for smaller donations..
We would like to thank you for the excellent cooperation and wish you a Merry Christmas and a good start into a successful and happy New Year on behalf ot the entire Oegussa team.